What a fun and creative idea for a baby shower. This party was not only fun to do and attend but just beautiful to look at. After much discussion we went with the theme of colorful elephants since the mom is decking out her soon to be baby room with an elephant theme and she loves bright colors. So lets take a look at the event! 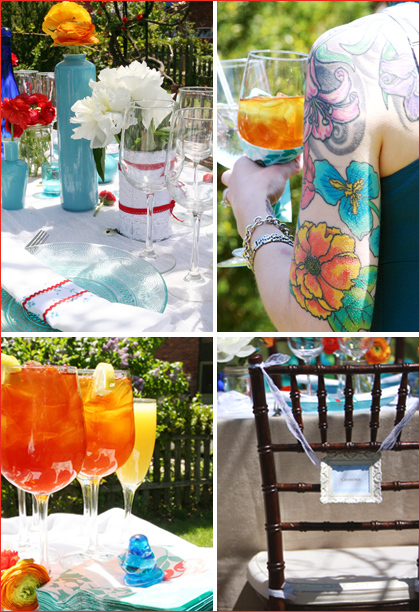 We used a variety of bold colored vases from thrift, and antique stores that were filled with bright colored flowers from the farmers market and store. We served a variety of homemade cold fruit juices and ice tea lemonade mix drinks. Along side the adult food was kid friendly food for those friends of the mother to be who had children with them. 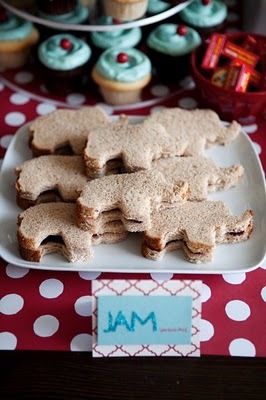 A cute jam and peanut butter elephant sandwich was served with other kid friendly snacks! For dessert we had chocolate and vanilla cupcakes frosted blue with a red candy topping that was served with elephant shaped candies. 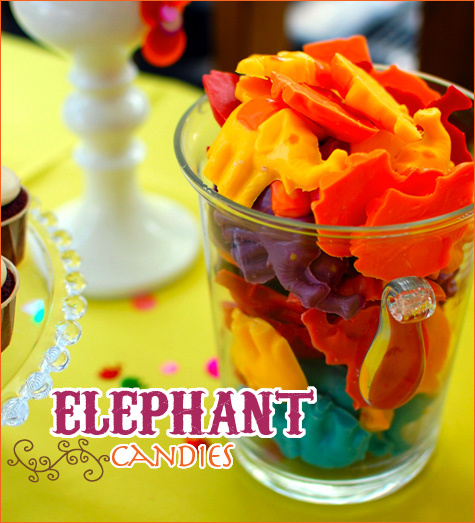 At the end of the event you received an elephant crayon keepsake which were handmade by me of course. 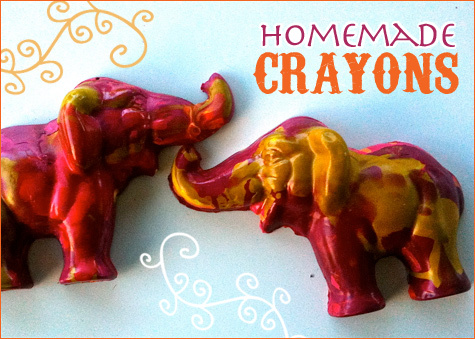 An easy crayon melting project handy for many events. hi…where did uget the elephant cookie cutter? You can order one online. I think the admin of this web site is truly working hard for his site, as here every is ell written and beautiful.